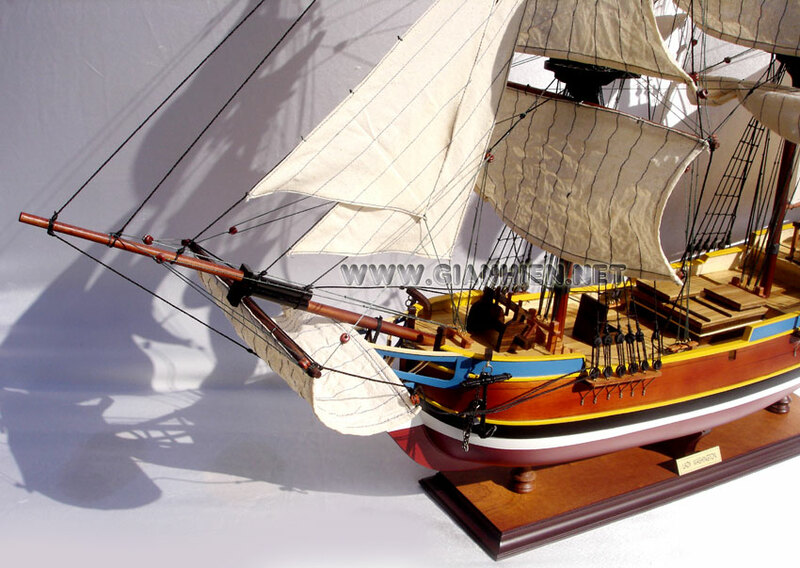 This model is hand-crafted from hard wood with planks on frame construction method and painted like the real replica ship now. 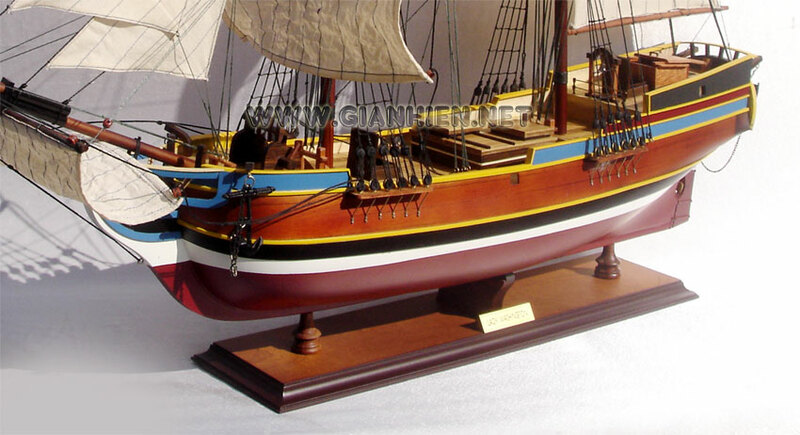 Our model is full assembled and ready for display. 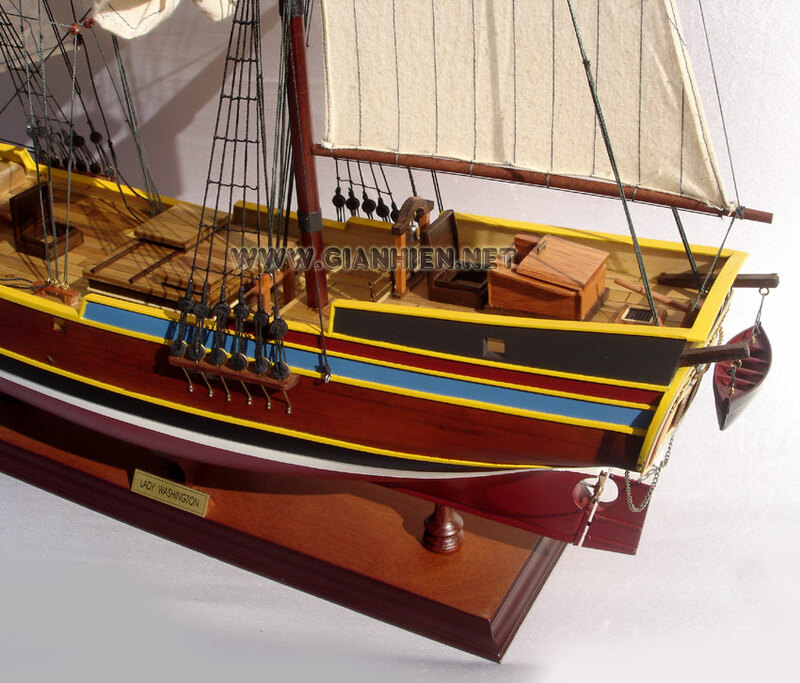 Lady Washington is a ship name that is shared by at least 4 different small wooden merchant sailing vessels during two different time periods. They should not be confused with USS Lady Washington. 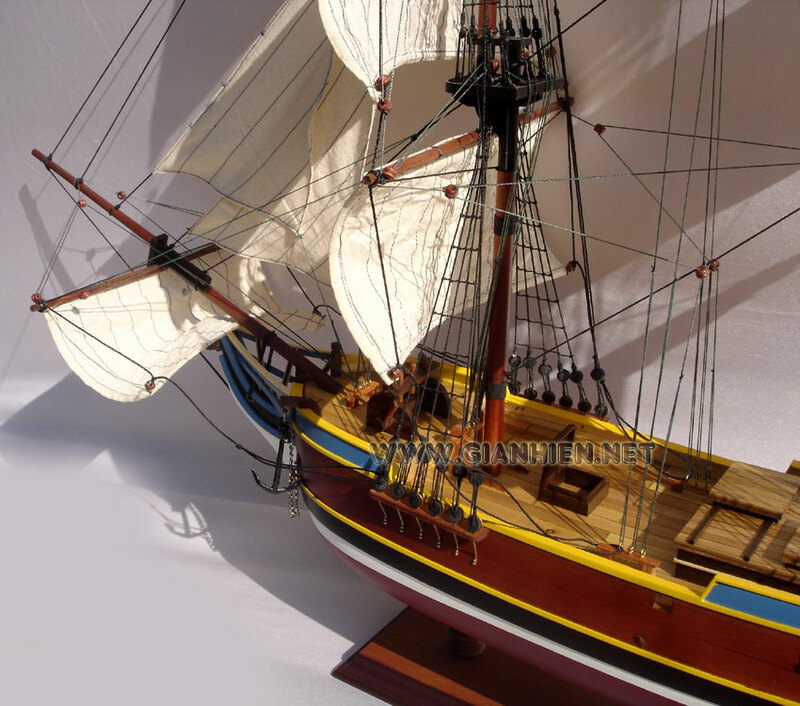 The original sailed for about 10 years in the 18th century. A somewhat updated modern replica was created in 1989. 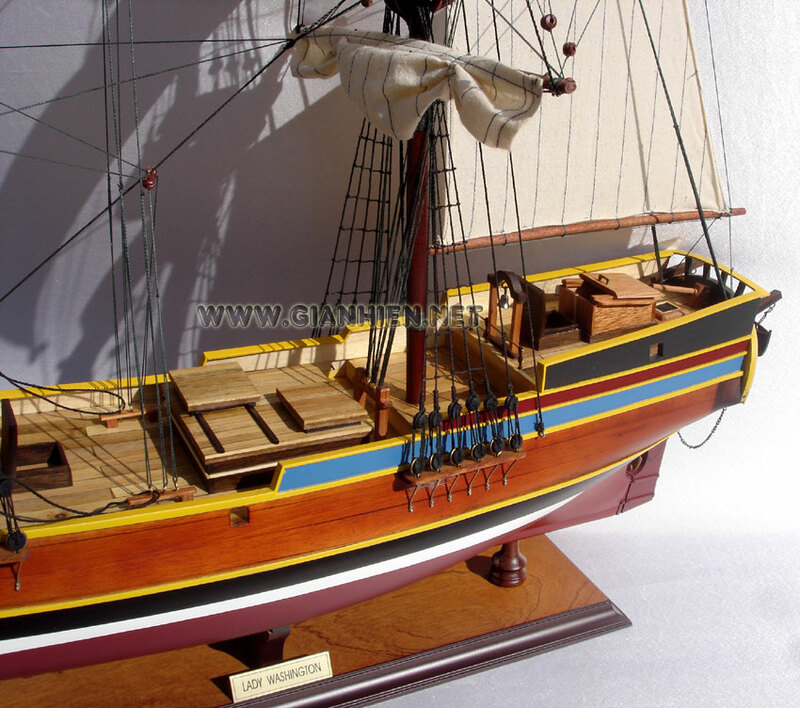 The replica has appeared in numerous films and television shows, standing in as other real or fictional ships. The Washington became the first American vessel to reach Japan in an unsuccessful attempt to move some unsold pelts. 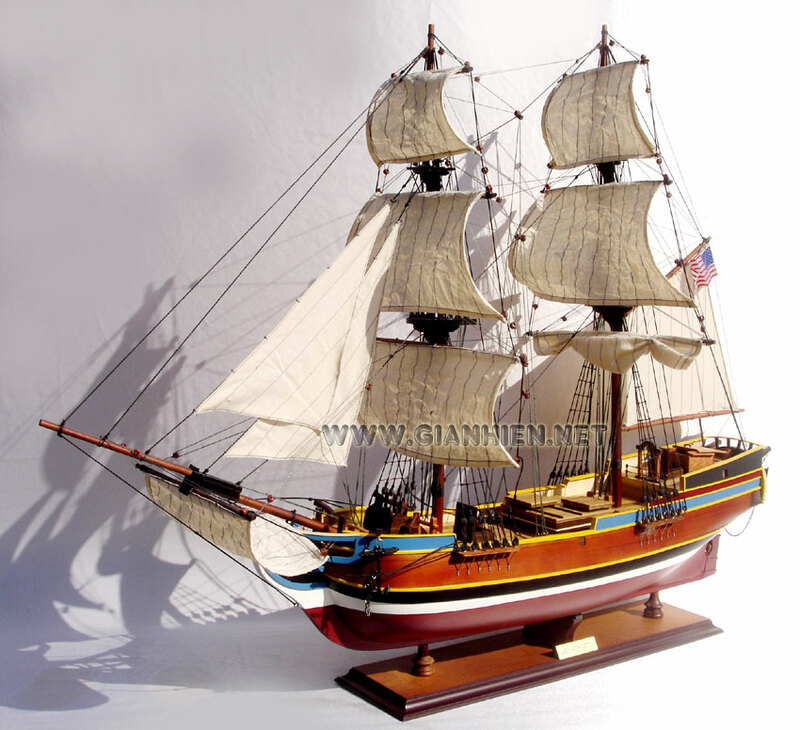 Washington remained in the Pacific trade and eventually foundered in the Philippines in 1797. 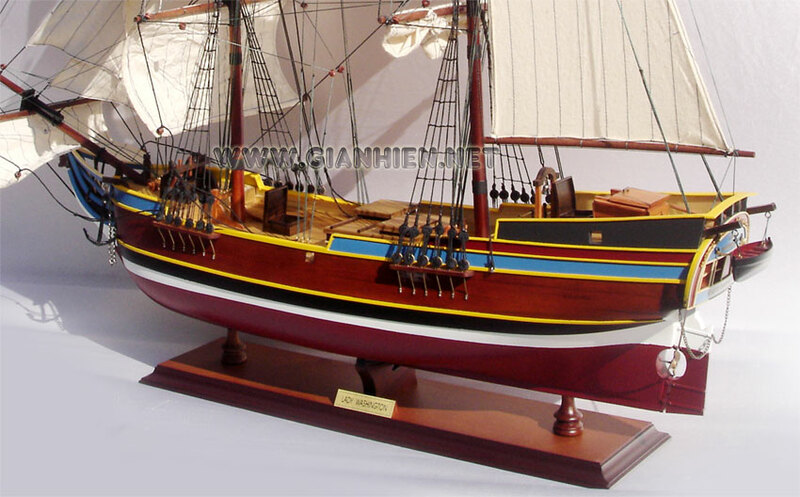 She was lost at the mouth of the Mestizo River, near Vigan, NW Luzon in July 1797. 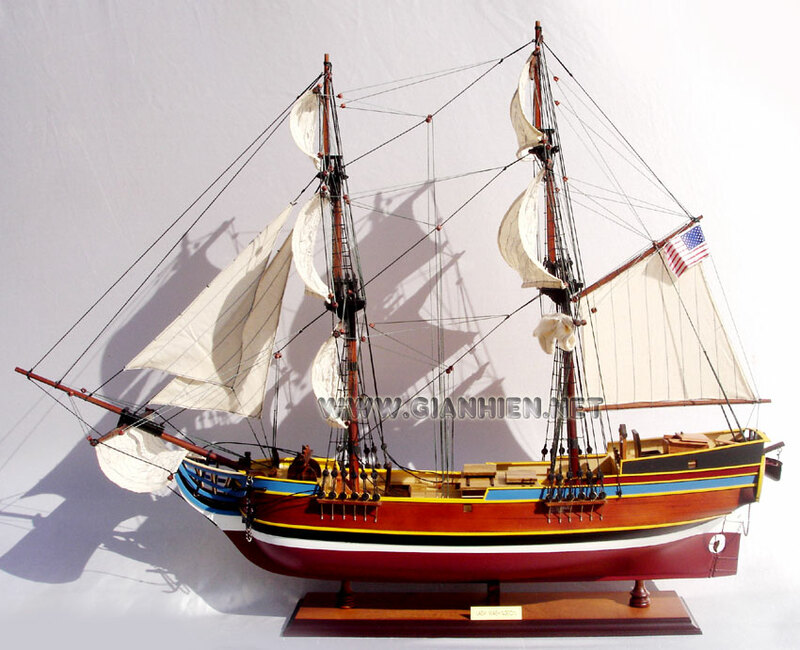 A ship replica of the Lady Washington was built in Aberdeen, Washington, United States in time for the 1989 Washington State Centennial celebrations. Aberdeen is located on Grays Harbor, an inlet of the Pacific Ocean named for Robert Gray, the man who discovered the harbor as Master of the Columbia. Named "Washington State's Tall Ship Ambassador", as well as the State Ship, the new Lady Washington has already made plenty of her own history. Operated by a professional and volunteer crew under the auspices of the Grays Harbor Historical Seaport Authority, she sails up and down the Pacific coast reaching out to sailors and lubbers of all ages through the romance of the sea in the hope that they take a little of her history back with them. 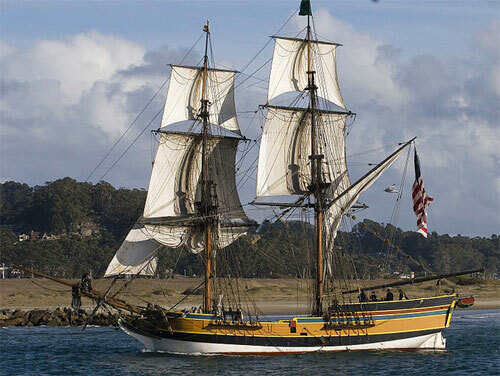 Today she sails regularly in pair with the Hawaiian Chieftain, educating students in the history of merchant trading, life of common sailors, and responsibilities of the ship's officers. 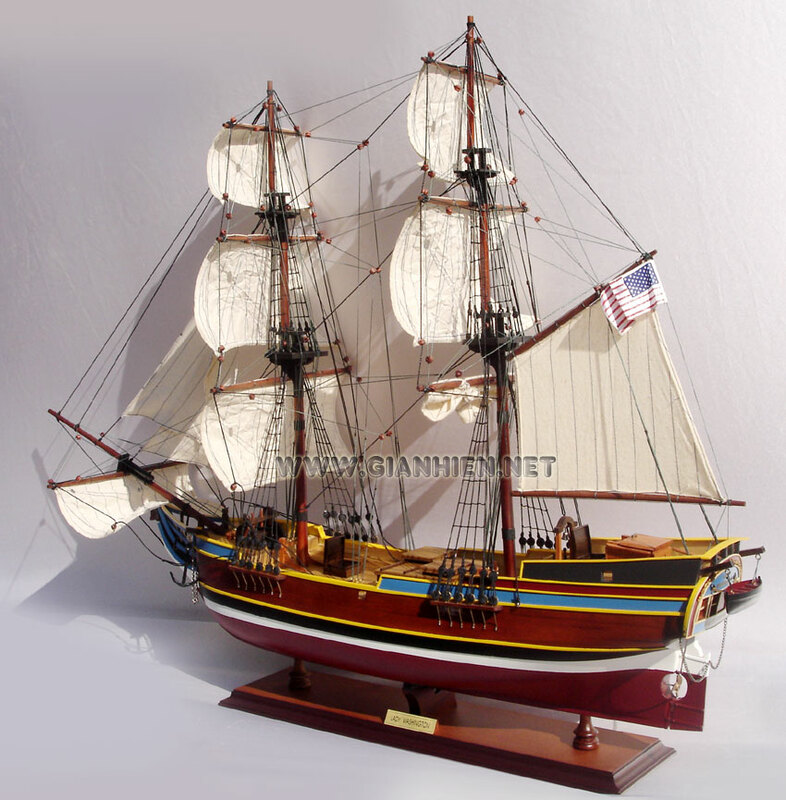 Recently, Lady Washington has appeared in various films, portraying the HMS Interceptor in the film Pirates of the Caribbean: The Curse of the Black Pearl and the brig Enterprise, a namesake of the Starship Enterprise, on the holodeck in Star Trek Generations. She also provided the basis for the RLS Legacy in the Disney animated feature Treasure Planet. The ship has also appeared on television, as Captain Hook's ship on Once Upon a Time.